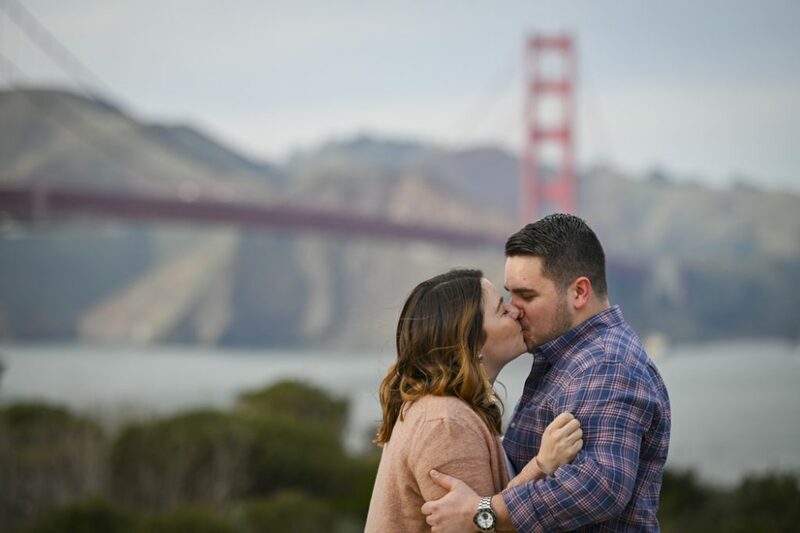 Golden Gate Bridge engagement proposals are some of the most iconic in San Francisco. 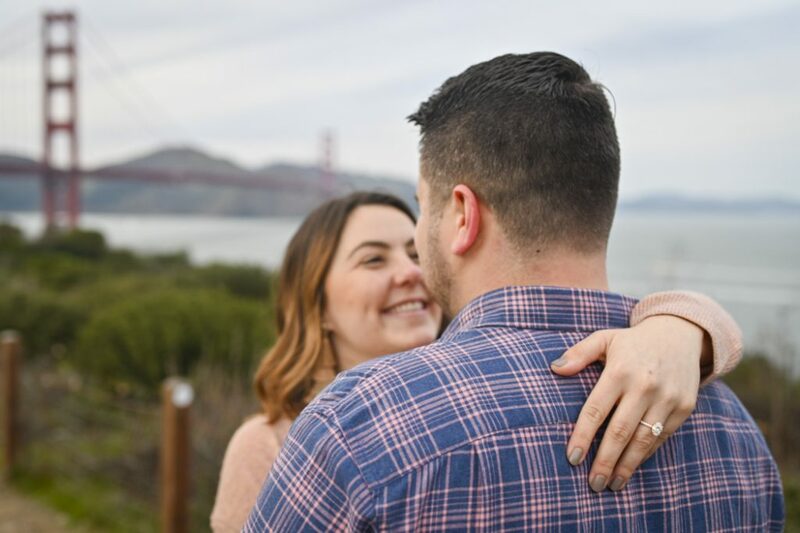 Spencer reached out to Paparazzi Proposals to surprise Megan with one she would not forget. We arranged for our sneaky photographer to be waiting by a designated position for their arrival. 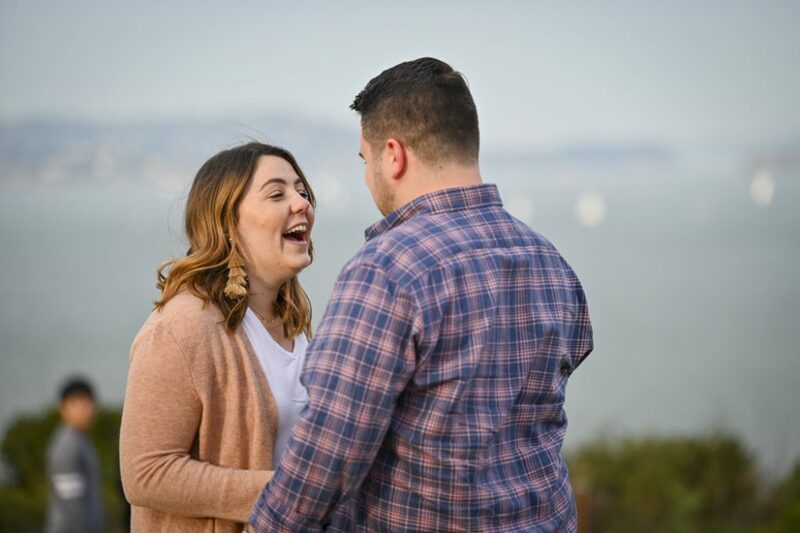 Megan thought she was going on a romantic date night with Spencer to one their special spot with a picture-perfect view of the Golden Gate Bridge. 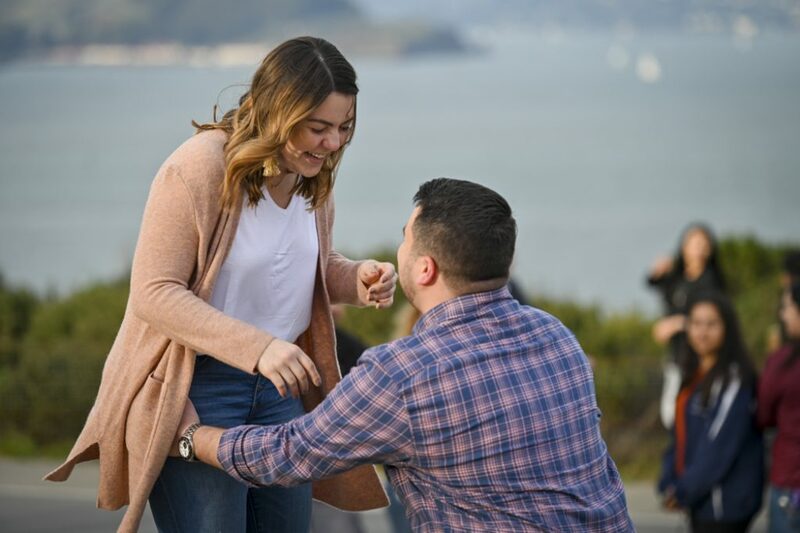 Spencer waited for her to be distracted by the view to get down on one knee and pull out a diamond ring! Found the one and bought the ring? Now, get a special online discount! Give us a call now at (888) 287-5120 for a free consultation and $60 off! Once-in-a-lifetime, captured forever. 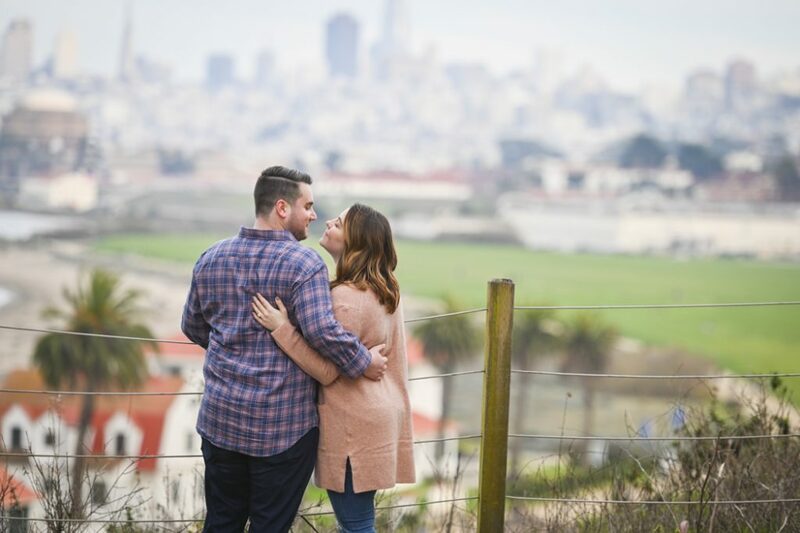 After all the excitement (and she said “YES!”), our photographer revealed himself and took them around the area for an impromptu portrait session they would not forget. 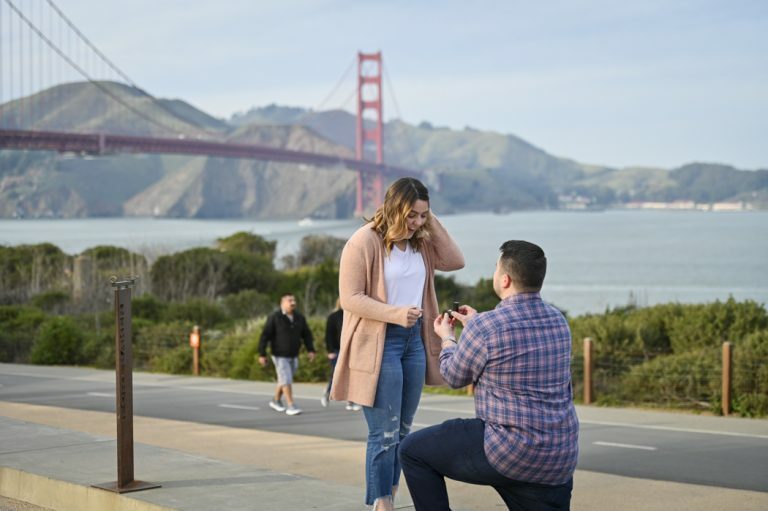 It was more than one of those picture-perfect Golden Gate Bridge engagement proposals, it was a moment they can now share with family and friends! 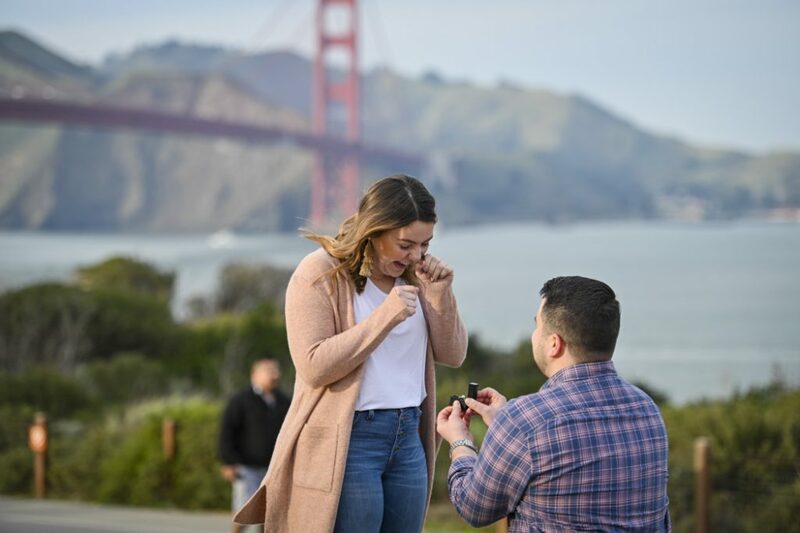 View more Golden Gate Bridge engagement proposals and proposals all over San Francisco by following us on Facebook and Instagram!